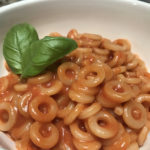 When I was little I would eat Spaghetti-Os as often as my parents would let me. 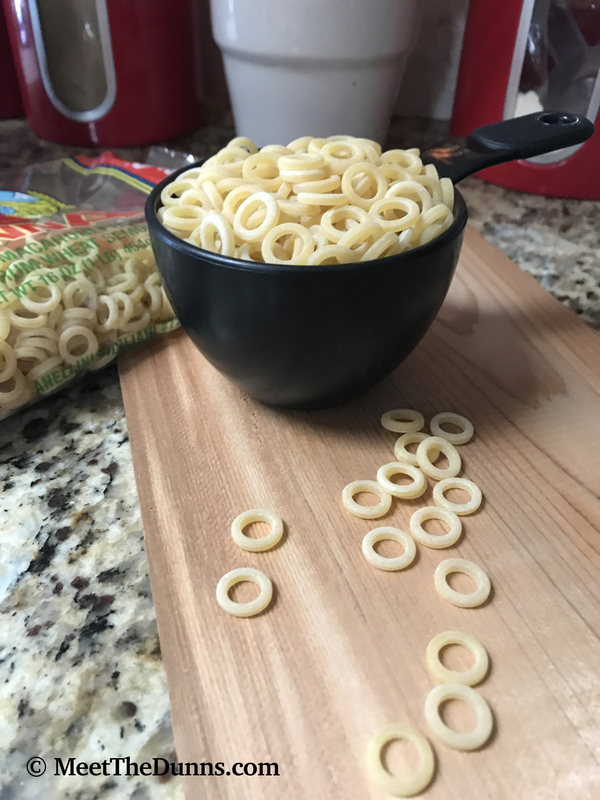 I could eat them for lunch and dinner, it didn’t really matter what time it was I loved Spaghetti-Os. I remember the orange stain it would leave in my school thermos, because I would eat them so much it would never come clean. 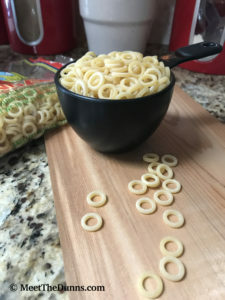 While shopping at our favorite local market that just happens to be Italian, I came across the Anellini pasta and immediately knew what I wanted to make with them…well, two things; first the Spaghetti O’s and secondly I was going to make a chicken broth soup with these bad boys. Did you know that these wonderful little circles of yumminess were first introduced back in 1965? And they were marketed to parents as “less messy” than spaghetti. 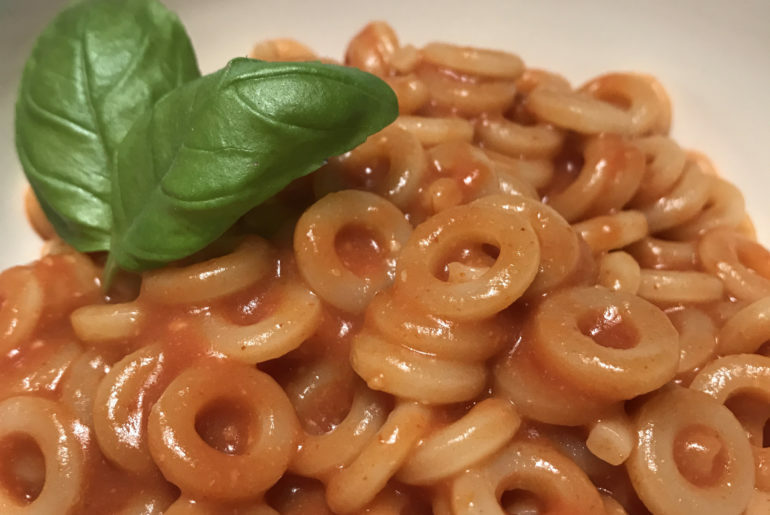 More than 150 million cans of SpaghettiOs are sold each year! Just a quick glance at the ingredient list and it makes you wonder how this is called “food”. 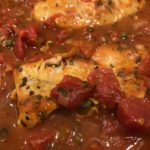 The great thing is that not only is this recipe easy to whip together but its made with items you have on hand in the pantry!